Today we’d like to introduce you to Xavier Quimbo. Xavier, please share your story with us. How did you get to where you are today? My first real job was as a Hollywood stuntman. After 7 years doing live shows, TV, and film I decided that I needed a bit of a change and got into personal training. Found myself working mostly with physical therapists and rehab, then got into group fitness and then eventually creating Speedplay with my business partner and friend Ryan Pendon. It’s something very special when you create a company and business from the ground up. My strengths were in the fitness side of things… the product. That included the program design of the workouts, trainer development, and creativity when it comes to our equipment. It was clear I needed people around me that filled in where I’m not strong at. Ryan Pendon having owned and operated a rehab facility for years prior was a good match, and our first employee Tory Davis was the manager and creative director that we needed to run the business and create a brand. So the challenges started from the ground up. What are our colors, who is our target demographic, how can we secure a lease on a place. These questions and decisions at the time we thought were very crucial. But we had a good sense of what our company needed to be, and it was even more important that we just do it and open our doors and learn how to adapt to our market. If I had to choose one major challenge with starting Speedplay, it would be under capitalization. We didn’t have a lot of money backing us. Both Ryan and I were the only people funding the company. We decided to not take out a business loan or seek out other investors, and in a way it really made us figure out how we can make things work with what we got. 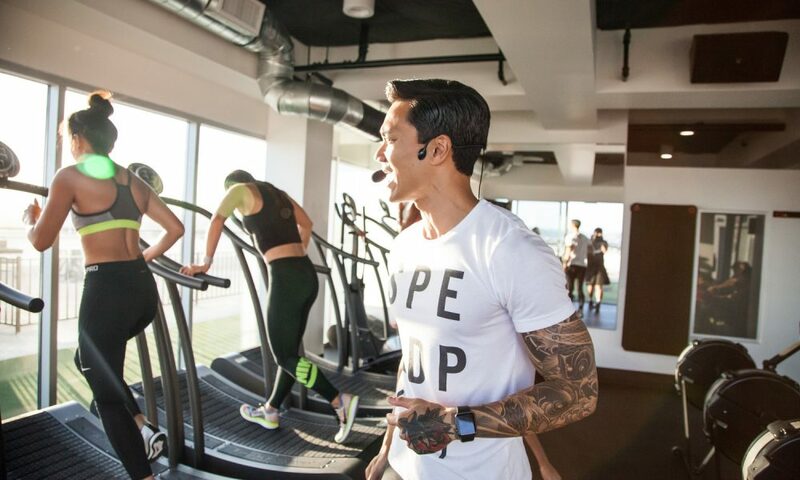 The result almost 2 years later, is a growing company with a strong brand emerging, that’s constantly rated one of the best fitness studios out there in Los Angeles…. which may be the toughest city for a fitness studio to survive in. Speedplay – what should we know? What do you guys do best? What sets you apart from the competition? Speedplay is a boutique group fitness studio that specializes in High Intensity Interval Training. We run on Woodway Curve Treadmills, Row on Concept 2 Rowing machines, and strength train using dumbbells, barbells, bosus, and TRXs. You get a good mix of it all in every class. What I’m proud of the most is the brand that we built and the culture we created. At the start we didn’t exactly know who we were going to get through our doors, but it became apparent that we got this culture of young professionals that valued their health and fitness. A group that wanted something efficient and effective to fit in their busy lifestyles… and a group that worked hard AND played hard. We fueled that by going beyond the workout and creating a lifestyle. Every time I answer this question, I love quoting Arianna Huffington in saying that “we need to add a third measure of success that goes beyond the two metrics of money and power, and it consists of 4 pillars: well-being, wisdom, wonder, and giving. To me, each and every single one of those pillars have been challenged greatly when starting Speedplay. Well-being: To me it means believing in yourself and maintaining yourself… mind and body. It’s funny how we built a company that revolves around health and fitness, and because I got caught up with a ton of things to do, I started to feel my own health and fitness slip. That balance is crucial. A strong healthy body helps your mind power through the day. Wisdom: The knowledge of your business and the people that surround you. You’re not going to know everything and have all the answers, but you can be surrounded by people that fill in the holes. Collective knowledge of a good group is powerful. Wonder: It’s our nature to always think what if… The want to continue to innovate within the company and self-shows that we’re going somewhere, and not staying stagnant. It keeps you mobile and young. Giving: To me, there’s no point of working as hard as I can, making so much money, etc. without the opportunity to share and give the knowledge away. On that note, I feel most successful, when I’ve worked hard to accomplish and master one thing, and then share that knowledge to someone that in turn works hard and accomplishes the same.